Last month at the American Diabetes Association’s (ADA) 77th Scientific Sessions, AstraZeneca Plc. presented new data supporting the safety and effectiveness of their SLGT-2 inhibitor Farxiga. This data is in direct contention with the FDA’s recent findings that led the agency to mandate SLGT-2 inhibitors to carry black-box labels warning consumers of the increased health risks involved with the drugs. AstraZeneca analyzed data pooled from 30 in-house clinical trials of Farxiga and presented the data to the ADA. Their safety analysis of these clinical trials found no new safety signals for it. Adverse health risks for users were generally similar to patients in the control group, with almost identical risks of lower limb amputation for both groups. AstraZeneca also referred to findings from the CVD-REAL study, a real-world evidence analysis of SGLT-2 inhibitor patients that was published in May 2017.The multi-country analysis documented the results of more than 30,000 type-2 diabetes patients using Farxiga or similar products. Patients using SGLT-2 inhibitors showed a rate of reduction in hospitalization for kidney disease and heart failure as compared to patients using DPP-4 inhibitors. Further analysis from CVD-REAL found decreased risks in cardiovascular deaths and hospitalization for heart failure for type-2 diabetes patients using SGLT-2 inhibitors as compared to patients using other type-2 diabetes treatments. The range of data from CVD-REAL gives the study’s findings credibility. But the safety of Farxiga itself should still be brought to question. AstraZeneca’s ADA presentation introduced data that claimed the drug was safe for consumer use. But these claims are based on a compilation of in-house trials, with no outside supportive data. AstraZeneca’s safety claims contradict the new FDA-mandated black box label for SLGT-2’s. The label was authorized after a recent FDA study showed increased risks of amputation for SLGT-2 patients. While AstraZeneca’s analysis claimed no increased risks for patients, the FDA found increased risks of lower-limb amputation for patients using SLGT-2’s. These findings lead the FDA to mandate new black-box labels for all SLGT-2 inhibitors including Farxiga. The manufacturer’s diabetes portfolio saw an increase in stock value in 2016, which is partially a credit to the increase in popularity of the drug. In the first quarter of 2017 (1Q17), AstraZeneca witnessed a 7% year-over-year drop in U.S. market earnings for their diabetes portfolio. 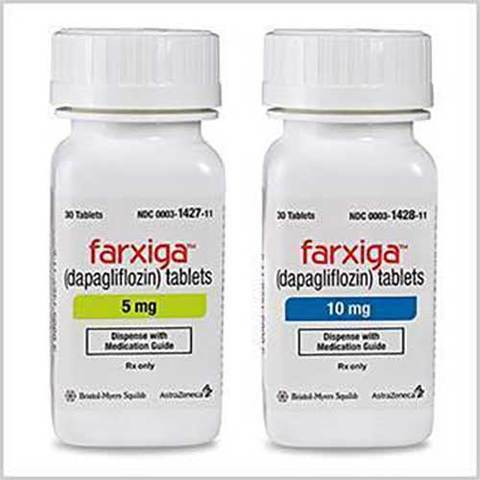 While Farxiga had a slight increase in earnings in the U.S. market during 1Q17, it was nothing compared to the drug’s 1Q17 market earnings abroad. This is likely because of the FDA’s new mandates and restrictions, which have made it less desirable to U.S. consumers. By exposing the risks associated with it, the FDA has damaged the drug’s image for U.S. consumers. A decline in favorability of the drug in the U.S. could drastically affect AstraZeneca’s U.S. market earnings for their diabetes portfolio, which has already taken a hit in 1Q17. AstraZeneca’s unsupported claims to the ADA seem to be an effort to change the public perception of Farxiga and save their earnings at the cost of consumer safety. “AstraZeneca Presents New Data Underpinning Safety Profile and Real-World CV Outcomes of Farxiga at ADA 2017.” AstraZeneca - Research-Based BioPharmaceutical Company, 12 June 2017, www.astrazeneca.com/media-centre/press-releases/2017/astrazeneca-presents-new-data-underpinning-safety-profile-and-real-world-cv-outcomes-of-farxiga-at-ada-2017-12062017.html. Patrick | Jul 7, 2017 7:24 pm EDT, Margaret. “Farxiga Expected to Drive AstraZeneca's Performance in Diabetes Segment.” The Major Growth Drivers for AstraZeneca in 2017, Market Realist, 7 July 2017, marketrealist.com/2017/07/farxiga-expected-drive-astrazenecas-performance-diabetes-segment-2017/. “The CVD-REAL Study.” CVD-REAL Study Official Website, AstraZeneca, www.cvdreal.com/.